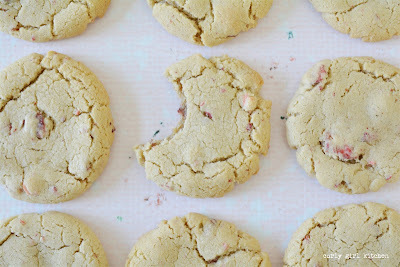 Before I used those freeze-dried strawberries in my Strawberry Birthday Cake, I baked them into these cookies. 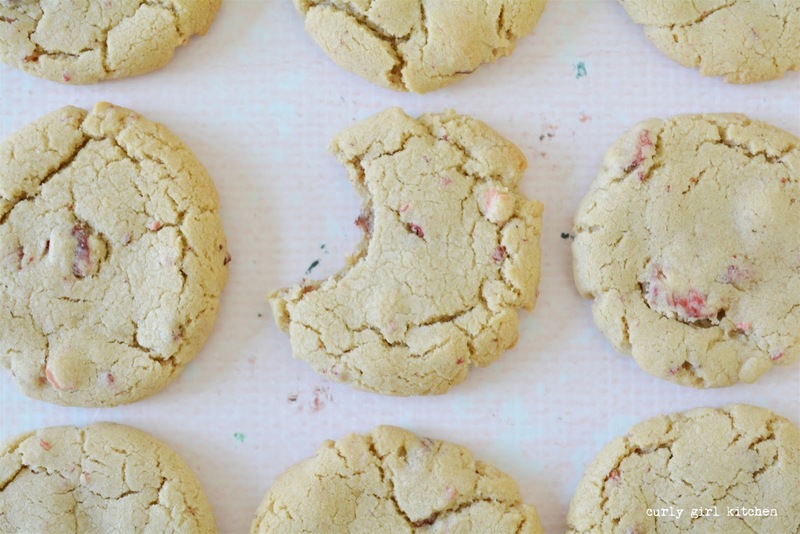 I had never had a strawberry cookie before, and I'm betting you probably haven't either, so let me tell you, these are simply delicious. A cookie (or two or three) with a glass of milk or a cup of coffee is one of the ultimate comfort foods, and I only just recently bought a cookie jar to keep cookies, since until now, I just stored them in tupperware. But I swear that cookies taste even better when they're kept in a pretty white hobnail jar on the counter. My toddler absolutely loved these cookies, and would reach up towards the jar and ask in a hopeful voice, "cookie?"